Glenmorangie has launched the seventh of its Private Edition series of single malts, using heavily toasted Portuguese red wine casks to create a sweetly fruity whisky. Glenmorangie Milsean – pronounced ‘meel-shawn’ and Scots Gaelic for ‘sweet things’ – is the first expression from the distillery to be extra-matured or ‘finished’ in heavily toasted Portuguese red wine casks. The no age statement (NAS) whisky is the seventh Private Edition Glenmorangie, and was matured in ex-Bourbon casks before spending ‘a number of years’ in casks previously used to age Portuguese red wine. Dr Bill Lumsden, Glenmorangie’s director of distilling and whisky creation, arranged for the casks to be heavily charred before they were used to mature Milsean, which is bottled at 46% abv and non-chill filtered. ‘A glass of Glenmorangie Milsean transports me straight to an old-fashioned sweet shop,’ Dr Lumsden said, adding that the maturation in toasted red wine casks had created ‘a whisky recalling a bygone era’. Previous Private Edition releases include Sonnalta PX, Finealta, Artein, Ealanta, Companta and Tùsail. 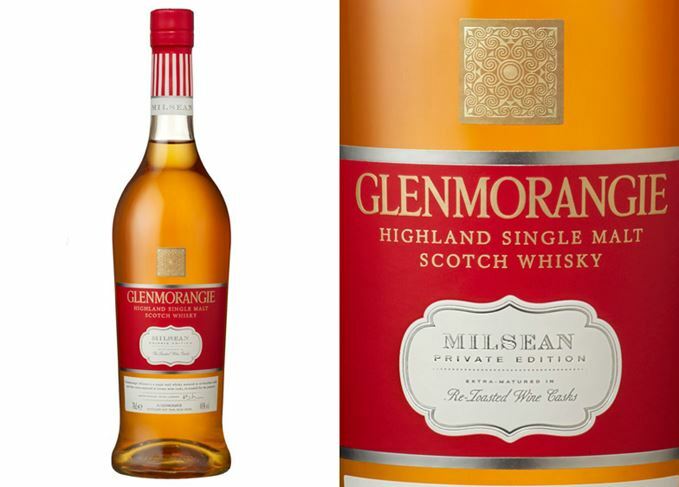 Glenmorangie Milsean is available now from specialist whisky retailers, priced at £75.99 or local equivalent. It is also available from 20 January as part of a 10-day whisky pop-up in the Library Bar at Brown’s Hotel in London. The event, in partnership with Beretta, features about 40 whiskies, with a whisky sommelier on hand to provide advice. From the Scots Gaelic for ‘baked’, the single malt was extra-matured in Madeira wine casks.